Hi Allison and fellow Castaways! I wanted to share my experience with cord cutting with you all as that seems to be a hot topic. Since here in Central Florida, we don’t have very many options, getting a good deal can be difficult. Cable and Satellite packages range wildly in pricing and deals are only for new subscribers, so you only get the best options if you hop around every year. So several years ago, we made the choice to cut all TV services and go internet only. This journey has introduced us to pretty much every device out there – Tuner Cards for computers, watching through gaming consoles, Fire TV, Roku, AppleTV, you name it. We even tried out the Kodi platform along the way. Also through our journey I’ve helped several friends discover setups for themselves, including my parents and some friends of mine, that are retired and just looking to cut extraneous expenses. Reduce the number of different remotes. Between the TV, cable box, sound bar and DVD player, they often got a little confused with what device should be on what input. They weren’t big on needing DVR capability, especially since I introduced them to Netflix a while back – I often try to slowly introduce elements to friends, one little thing at a time and then after a while bring it all together, much easier to swallow than a bunch of big changed at once. 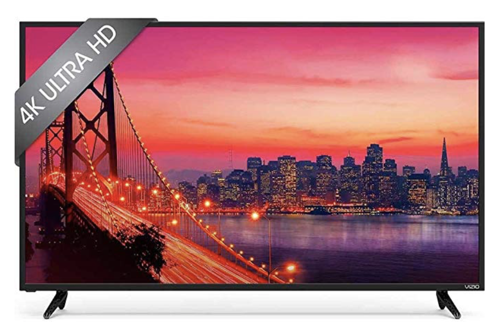 VIZIO E series TV. I’ve bought several VIZIOs in the last year for myself and friends and we have all been very happy with the quality and the ease of use. I like the built in Chromecast as a nice catch all option and something that our guests with Android can use if we want to share content. AppleTV, latest non 4K version. This option became even more of a great solution when Amazon Prime Video came to the platform a while ago, as these friends do have an Amazon Prime subscription and watch shows there. This really helped with the single remote desire with not having to switch to the Chromecast option for Amazon Prime Video. The $149 model that was mine until I upgraded to the 4K version. HD Homerun Connect to bring over the air channels to their home network, and thus to the Apple TV, about $100 at Best Buy (or on Amazon). 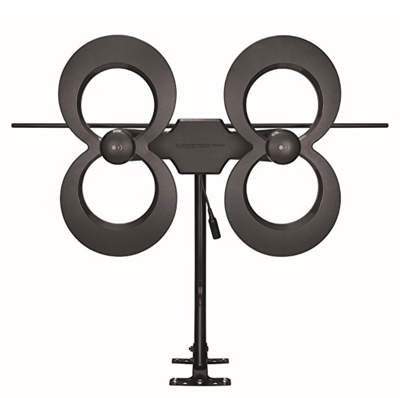 ClearStream 4MAX HDTV Antenna – 70 mile radius since they live on a 10 acre farm in the middle of a more rural area. About $100 at BestBuy. The last pieces of the puzzle were the HD Homerun Connect and the HDTV antenna that allowed them to finally cancel their DishTV last week. DirectTVNow – the lowest plan at $35, plus HBO Add on for $5, so about $45 total with taxes. We like this interface much better than the SlingTV and other services we looked at. So, for services they are paying $64.24 a month give or take, but with the option of pausing any or all of the services month to month, something no cable or satellite service offers yet. And then for their internet, they only have an option for DSL, which only a year or so ago offered speeds high enough to accomplish streaming. Open the Channels app on Apple TV, and boom, they were all there, all with lovely thumbnails of the currently playing show, which makes for a great interface for channel surfing. So there you have it in a nutshell, my retired friends who are in their late 60’s have been able to reduce their $240 internet and DishTV bill to about $65 for streaming services and another $50 for internet service. Their one big complaint, and I agree wholeheartedly – the AppleTV remote is TERRIBLE! But that’s an entirely different topic. Hope this gives some hope to others looking to effetely cut the cable cord and simplify their setup. I also have an Apple TV-based solution but instead of the HD Homerun Connect we use the Tablo Dual 64GB OTA DVR. We were never cord-cutters because we have never had cable TV and always used an antenna. I was envious of my cord-connected friends who were able to timeshift favorite programs and skip through commercials. We love the Tablo which now gives us this capability and the Tablo app for Apple TV has a well-deserved spot in the top left corner of our Apple TV home screen. The Tablo connects in a manner similar to the HD Homerun Connect: attach the antenna to the Tablo and connect the Tablo to the AirPort Extreme with an Ethernet cable. Thanks for that tip! I’ve often thought about a dvr solution, as I at one time had a TiVo, but have been sold on the individual apps over the last few years as a solution.